Panel shirt design with great branding options. 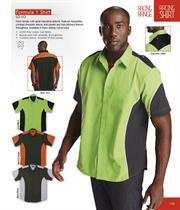 Features epaulettes, contrast shoulders, sleeve side panels and top-stitched finishes throughout. Available in three striking colourways. 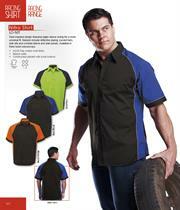 Pit crew styling for uniform, promotional or fashion applications. Features pocket with pen slot and side vents for wearer comfort. Race-ready styling. Classic styling with unique back neck yoke and sleeve branding options. Other features include metal buttons, front patch pockets and double-needle top-stitching. Available in three colourways. 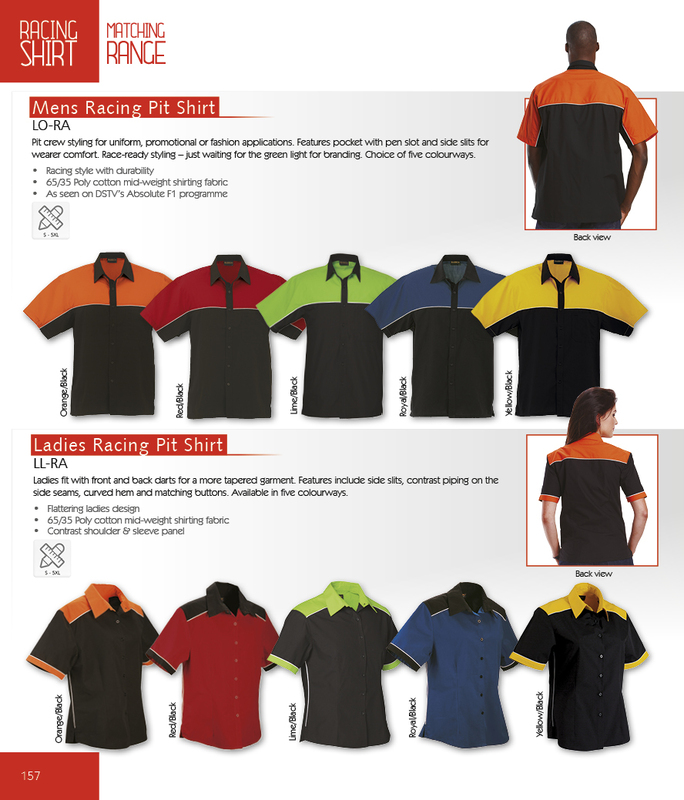 Racing design great for uniform or promotions. 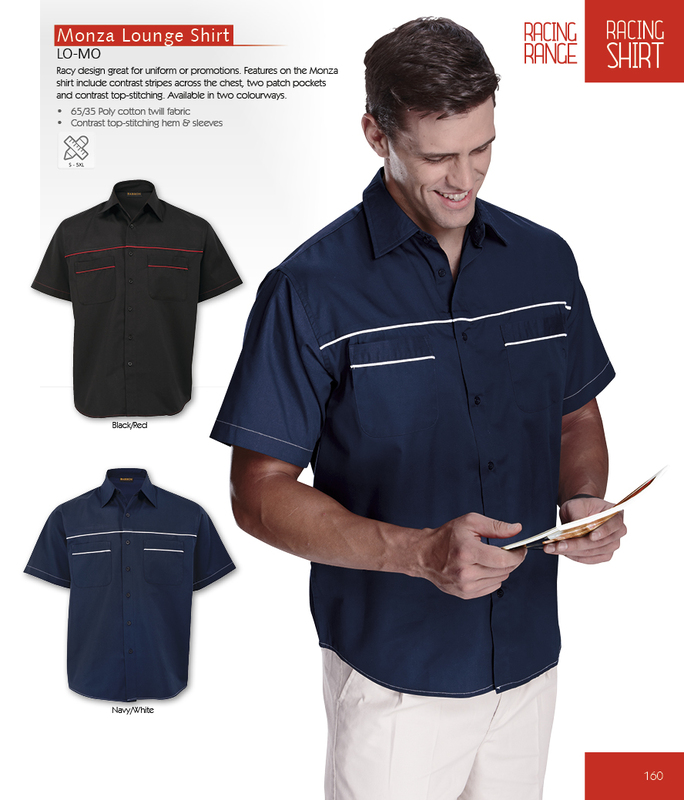 Features on the new Monza shirt include contrast stripes across the chest, two patch pockets and contrast top-stitching. Available in two colourways. Track-inspired design featuring raglan sleeve styling for a more universal fit, contrast side and sleeve panels, and reflective piping. Finished with curved hem and side vents. Available in three bold colourways. Racing Shirts - Pit crew styled shirts. 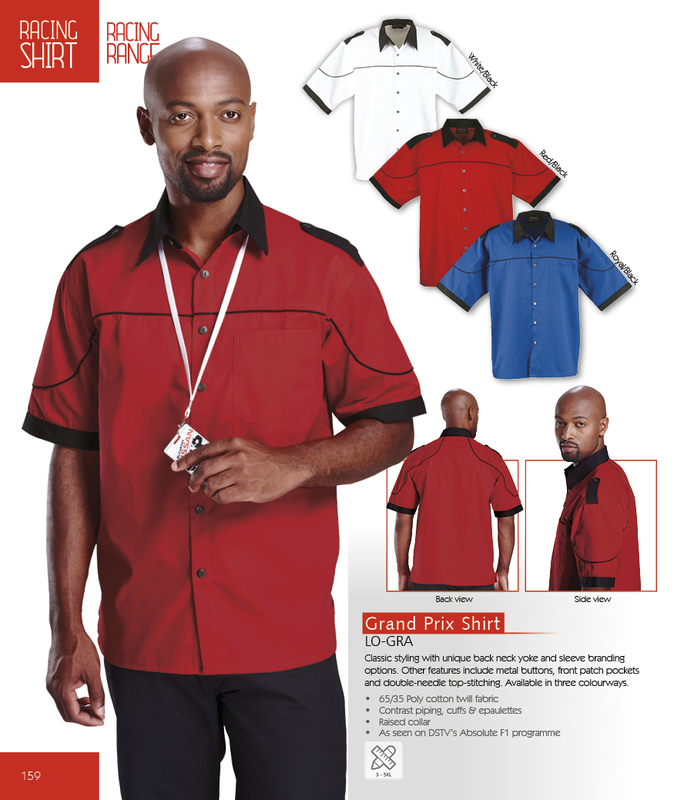 Classic styles like the Pit Shirt and Formula 1 Shirt. 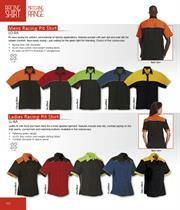 Racing designs great for uniform or promotions.